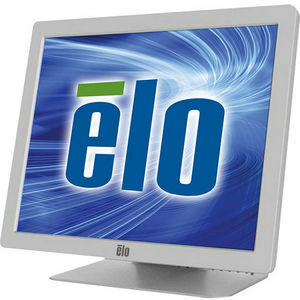 The Elo 1929LM 19" LCD Medical Desktop Touchmonitor delivers cost-effective solutions for healthcare professionals and patients. This fully featured touchmonitor offers IntelliTouch surface acoustic wave touchscreen technology which provides stable "drift-free" touch response, outstanding image clarity and resolution, and AccuTouch five-wire resistive technology, the preferred solution for applications that demand reliability, input flexibility, and contamination resistance. Additionally, the 1929LM is equipped with a USB and RS232 combination touch controller, VGA, HDMI, DisplayPort connectors and an included adapter for DVI,built-in audio amp and speakers.